The Holy Wonder Smart School was ornamented and dazzle in yellow as the much awaited Basant Ritu festival was celebrated with great enthusiasm and gaiety in the school. Ashween Arora, Director of the School presided over the function.The function started with the rendition of “Saraswati Vandana”. 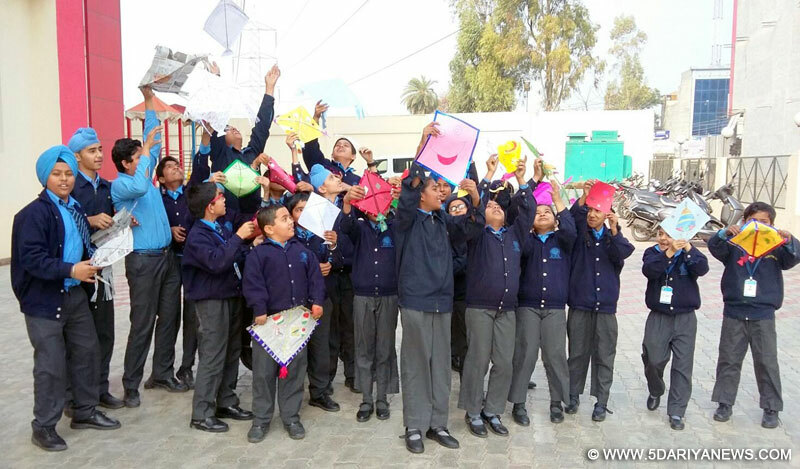 A festive mood prevailed in the school as the day was devoted to celebrations and activities related to Basant. Competition of kite flying was main attraction in the students and glorious sight of colourful kites was witnessed in the sky . At the very moment teachers and students cheered the young kite flyers. Meanwhile the junior class students were busily involved in art competition (drawing and colouring) on the Basant theme. Director, Ashween Arora while congratulating the winners told the significance of Basant Panchami to the students said that the Basant Panchami symbolizes the beginning of the end of the winter season and is marked with the flying of kitesPrikhshit Singh ,Mohit Singh ,Harshit singh got first second and third position from class 5th whereas Sharanpreet ,Prabjot Singh Vansh Malhotra and Jyoti stood firat second and third from class 6th .Meekinraj Singh and abishek Singh were the winner of kite making completion from Class 7th and 8th respectively .The entire day was a celebration of the festive, joyful and colourful spirit of Basant. The students thoroughly enjoyed the very special way in which the arrival of spring was greeted at the School.